Near the end of Prescott Avenue on the south side of the road stands two equally historic warehouses sandwiched between the former Southern Pacific Railroad's Monterey Branch right-of-way and Wave Street. The older of these, a three-story brick structure, dominates the surroundings, putting its smaller, quasi-art deco neighbor to shame. 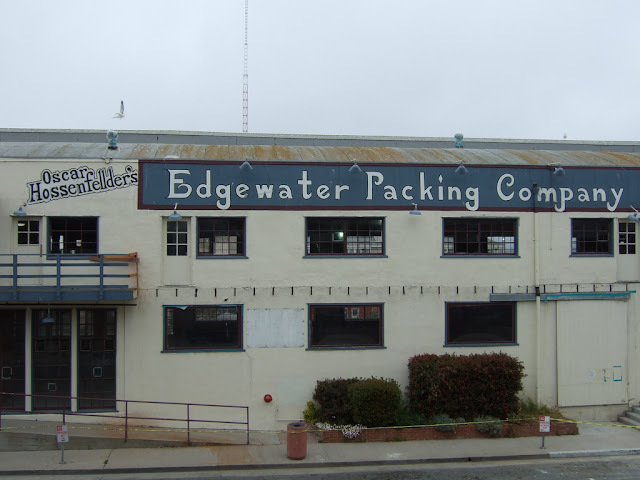 Yet both were once a part of the sprawling Edgewater Packing Company complex. In 1917, local sardine magnate Frank E. Booth decided to erect a reduction plant near the main Cannery Row industrial center in order to convert fish offal into fertilizer. 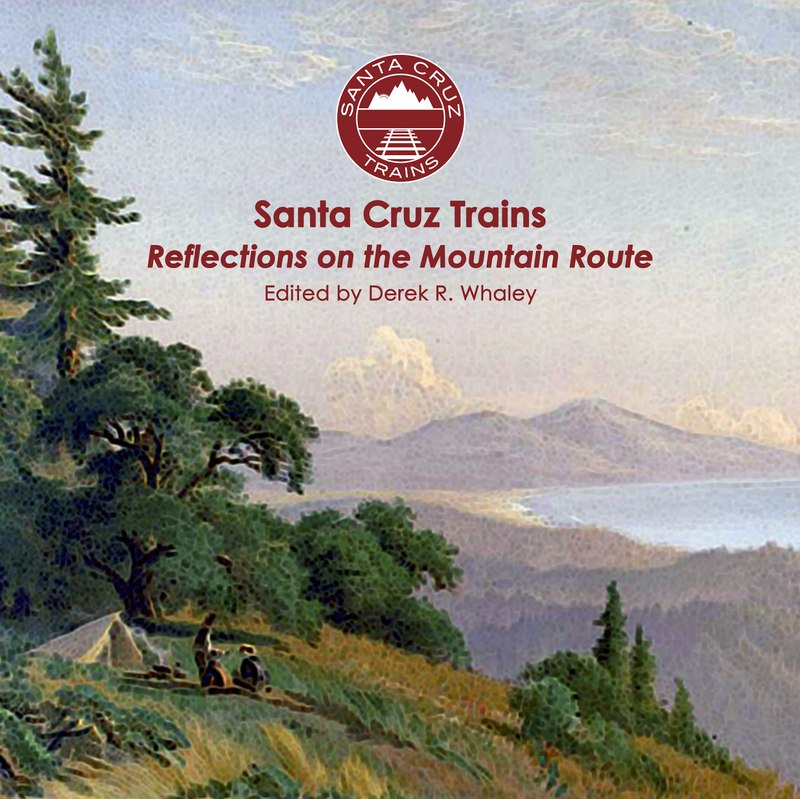 His cannery, the first in Monterey, was located beside the wharf a mile to the south, but real estate was at a premium in the area and the cost of transporting the fish product to a reduction plant was minimal. It was also one of the first such plants on the Row. Because it was detached from the cannery, it did not need direct ocean access, so it was built one block inland, becoming one of the first cannery complexes on Wave Street. The massive brick structure was built in a similar style to most of the contemporary canneries, with a false-front roof on both its street-side facades and lightly stylized patterns surrounding the entrances and windows. 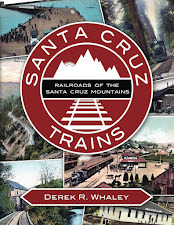 The placement of this plant was no accident: the railroad tracks passing to the east of it were used to both import goods from the main Booth cannery and to export them out to market. By 1926, a significant freight spur with a southbound exit had been installed behind the plant and serviced Booth's cannery exclusively. Wave Street entrance to the Edgewater Packing Company building during remodeling, 2007. Around 1945, the Booth company sold the reduction plant to the Edgewater Packing Company, one of the many new operations that opened along the Row during and immediately after World War II. Over the next year, the reduction plant was heavily upgraded and nearly tripled in size via the architectural talents of Robert R. Jones, who added a wood-frame extension to the south of the original brick structure. This architectural style of this new building was a mixture of pre-1930s themes and Art Deco, the latter most obvious through its stuccoed exterior and whitewash with trim. Large windows fronted Wave Street while a significant freight platform was built at the rear of the building to better utilize the railroad tracks. The latter company was closed no later than 1962, when a Sanborn Fire Insurance Company map showed the new structure as a lumber shed and the older structure as vacant. By this point, however, parts of Cannery Row were already being converted into a retail district. Both buildings outlasted their neighbors and became historical icons on Cannery Row as the only remaining brick-built industrial structure and wood-build warehouse. 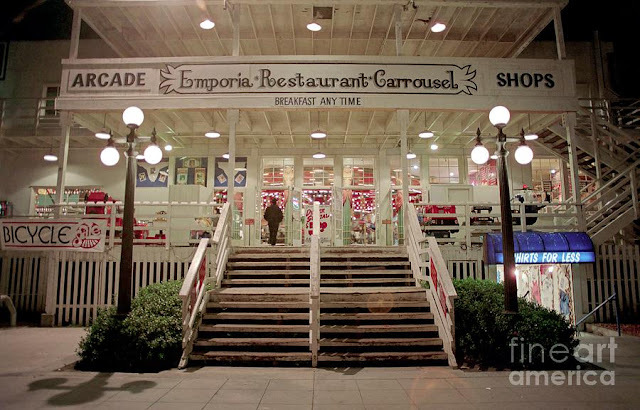 At some point in the early 1970s, the stucco warehouse was refurbished and turned into an arcade, Old Tyme Photo Emporium, restaurant, and retail outlet named Oscar Hossenfellder's Edgewater Packing Company, which hosted a 1905 Herschell-Spillman Carousel as its centerpiece. The arcade was replaced with a Laser Tag arena in the 1990s. Both attractions and the shops were removed in the mid-2000s during renovations. The adjacent reduction plant was converted into retail space in the 1980s. In 2007 the Monterey Music Cafe & Bar (M2CB) took over the upstairs portion of the building. Today, both structures remain examples of rare canning-era facilities that retain the look of their origins while embracing a second life. Both buildings remain open to the public and host popular tourist attractions. 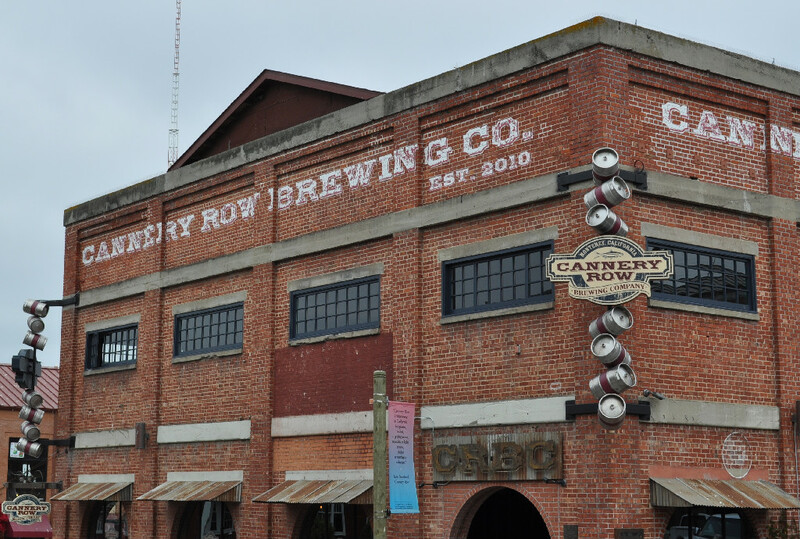 The reduction plant building is now home to the Cannery Row Brewing Company, which moved into the structure in 2010, replacing M2CB. Meanwhile, the IMAX 3D theatre that had occupied the former warehouse since 2007 was replaced in 2012 with a new Cinemark multiplex.